Closer Looks are one of the main components of the Worlds of ZZT project. The Closer Look series consists primarily of (re)visiting ZZT worlds and looking at them from a contemporary perspective, attemping to give both a complete playthrough of them while also pointing out noteworthy design decisions. Good humor, great music, poor design, and the giant robot battle is optional? Tired: "Press F to Pay Respects" Wired: "Press δ to Act Like a Snake"
Closer Look: Algorithm Part 1: Disco For Justice! A unique take on FF2US/FF4J where the programmer doesn't know how #end works. The Town of ZZT has lost is colors. Who took them and why? There's no places like ZZT homes. There's no places like ZZT homes. 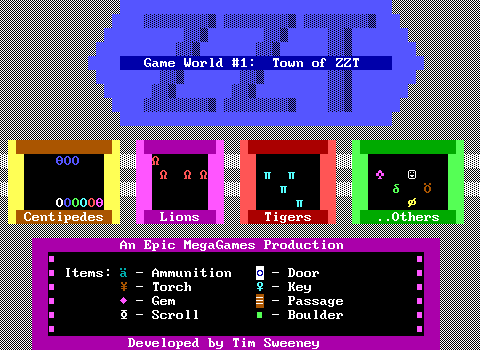 There's no places like ZZT homes. 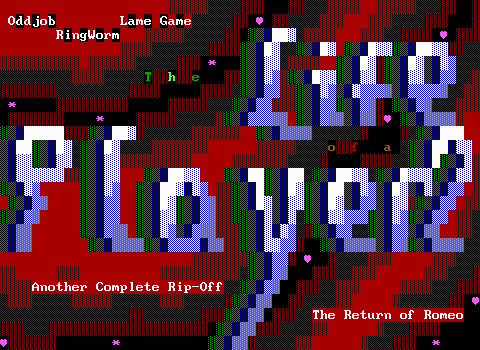 Expert programming crams a collectible card game into ZZT! War!! W-War is breaking out fast! "Goldeneye hardly redfines the genre. The graphics are excellent except for the blocky human figures." A pre-recording playthrough of the ZZT world "The Mercenary" by DavidN (2002), with the game's author providing guest commentary!